Annyeonghaseyo! I’m sure that all of you are familiar with this phrase, aren’t you? Yes, “Hallyu” or the “Korean Wave” has been storming all around the world. South Korea has then seen impressive economic advancements and served as a model for other developing nations, including Indonesia. As a business student myself, I didn’t want to miss the opportunity to study in one of the “Four Tigers of East Asia”! 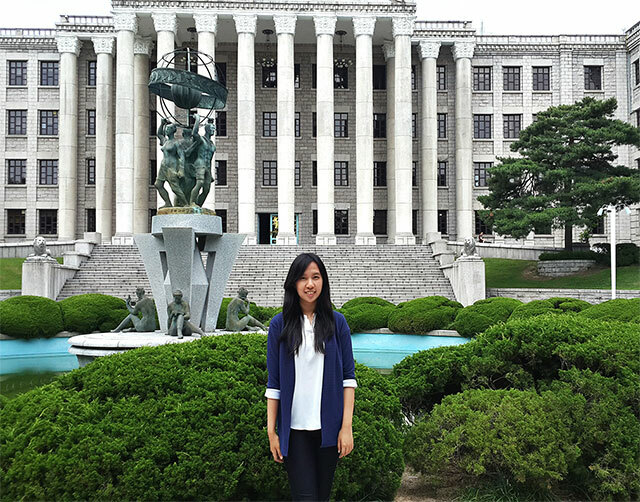 I studied in Kyung Hee University in Seoul, one of the most beautiful campuses in Korea. Most of my classes were fun even though all the courses were very demanding. 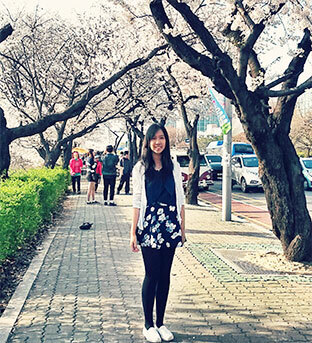 I learned how to speak out my ideas and opinions in class, debate, and did many international business case projects. 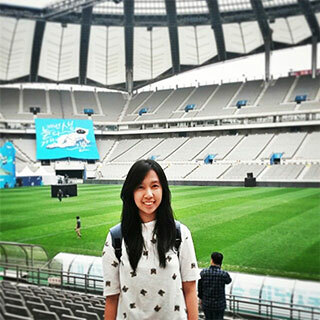 Going on exchange has developed my abilities of studying in a multi-cultural environment and expanded my knowledge of the global economy, international business and culture. 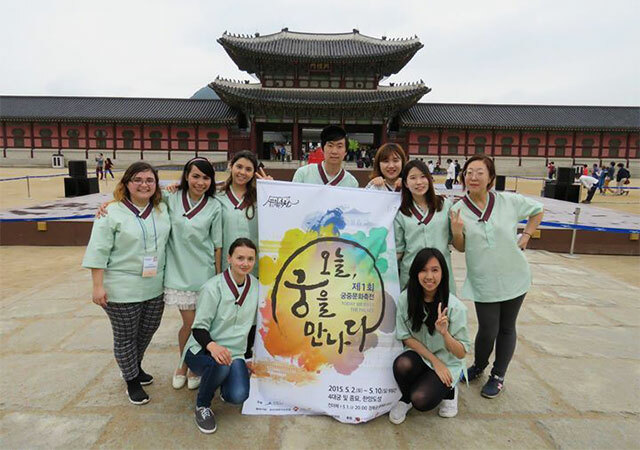 The competition for high grades is deeply ingrained in the mindset of Korean people so we need to have a balance of academics and life during our exchange: study hard but also have fun and travel a lot! Blooming Cherry Blossoms/ Sakura during Spring! 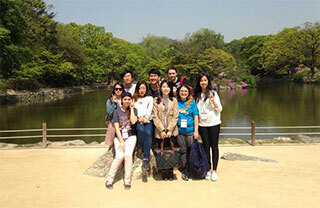 Seoul is known as one of the safest cities in the world. Even at midnight, I could still go out and feel safe as people were still hanging out at restaurants or coffee shops that were open for 24 hours. Although most locals do not speak any English, the public services are foreigner-friendly in general. You could easily find a mobile service provider or a bank with English-speaking staff. Traveling from one place to another whether by foot or the metro is always easy. The Seoul subway and public buses are extremely easy to understand and convenient to get around the city! My volunteer and Flash Mob Team at the Royal Palace! 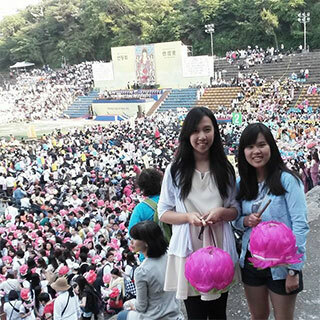 Joining the Annual Spring Lantern Festival! Going on exchange doesn’t only give you the chance to experience a new culture, language and country, but also once-in-a lifetime opportunities. The family and friends I’ve made are now part of my life. I got a lot of new memorable experiences. 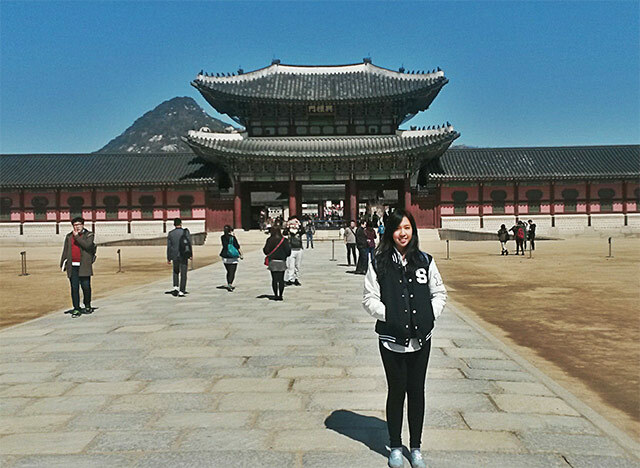 One of the most fun one was taking part in a volunteer work and a flash mob in the middle of the Royal Palace in Seoul! Being an exchange student in another country means that you are not only representing yourself and your home university, but also Indonesia! The other Indonesian students in the campus and I were so eager to share Indonesian culture as most people only know “Bali” when thinking of Indonesia. 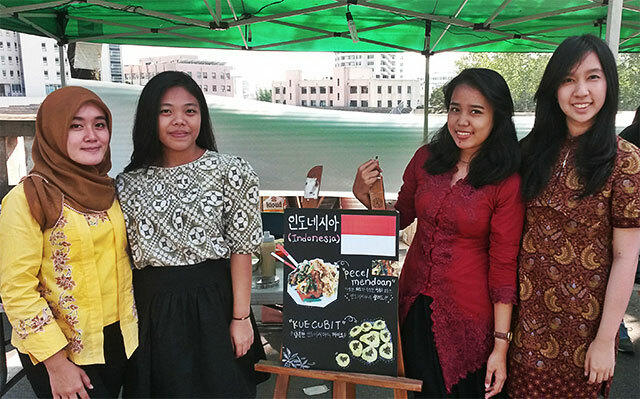 We joined the International Food Festival, presented the Indonesian food we made while wearing Batik.